What is the longest it has taken for you to finish a book? A 180 page book? In which I buy the book: A Twitter celeb wrote a book and it was all over the place.I decided to buy said book out of curiosity, mildly combined with a twinge of jealousy since I feel jealous of all people who write and get published. In which I start reading the book: I read a couple of paragraphs, struggled through the first chapter and threw the book in disgust. In which I attempt to read said book again: I tried. Honestly tried. In which I consider throwing the book away: Just like my fake Jimmy Choo handbag with the torn lining that I picked up on my trip to China, the trip just before I went on that trip to Bangkok where I wore my golden shift top and black trousers to the fancy nightclub where I saw a Man In Something Something make eyes at me inspite of my fat backside that refuses to shrink even when I wear my shapewear knickers, and my bottle of Insert Long and Fancy Brand Name of an Expensive and Fancy make up product that I cannot bring myself to throw away, I couldn’t bring myself to secretly slip in this book along with the newspaper pile to the raddiwalla. I saw a retweet of the tweet that the author twittered about said book being on some offer in Amazon. I checked said offer and it was Rs.128. 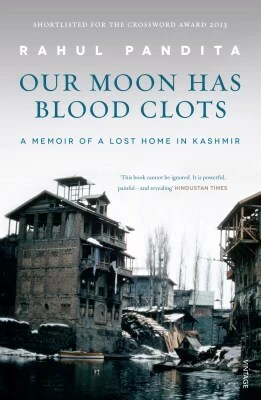 I cursed myself for having purchased the book for Rs.One Sixty something when I could have bought myself a shade of Kill Me Now nailpolish from a footpath stall selling poisonous lead laden nail paint for the difference in price. I woke up one Saturday morning in spring aka summer in Chennai and checked my schedule. I had no lunches or shopping trips or meetups with The Girls aka my BFFs planned. They have been my BFFs since we were in pigtails. Insert long winded extremely common incident that happens in school. So I put on my grey T shirt, the grey being the shade of a pigeon’s backside, and pyjamas in the colour of an awesomely cool colour that goes perfectly with said grey TShirt. I bristled around and made myself a cup of green tea and sat with said cup of green tea and willed myself to finish the book come what may. While said tea aka Weight Loss Tip number gazillion of trazillion that I follow sat on the Urban Ladder Fancy Name coffee table, I skimmed through the pages of the book with the determination of a one legged mosquito climbing Mount Everest on foot. Ok. I can’t write as badly as this book was written even if you hold this book to my head and make me write. But I finished it. It is about a woman’s life in a Mumbai apartment complex, her cliched husband aka The Spouse ( yeah, that’s still a thing) and her son aka The Brat ( as someone said, that’s the new Munna) who speaks in retarded SMSese ( shoot me for using the R word, but dat iz how she madd d kid tak thru oud d boog) and her entire wardrobe. And some murder and something. In which I challenge you to finish the book: Hah. Disclaimer: I am in no way responsible for the Lobotomy/Extreme Aarghing/ Banging your Head on the Wall/ Project Write My Own Book Because If She Can So Can I venture/ Deathbeatings that you subject yourself to afterwards. In which I ask you to read this first: If you enjoy the review, thank you. If you were not able to read the whole review, you’ll get what I’m trying to say.